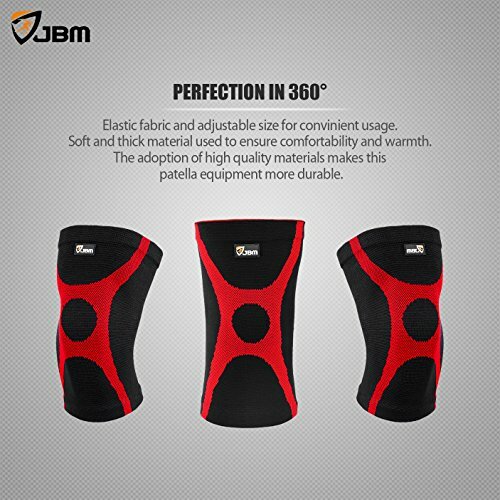 This gym knee brace is breathable which can absorb most of the sweat to keep dry and clean. With the designing of sleeve style, this knee support is convenient for users to put on or take off. Users could adjust the size flexibly for the high elasticity. The soft and lightweight material allow users to wear the gym knee brace comfortable. The adoption of high quality material makes this patella equipment hard to be broken, giving users a durable usage. 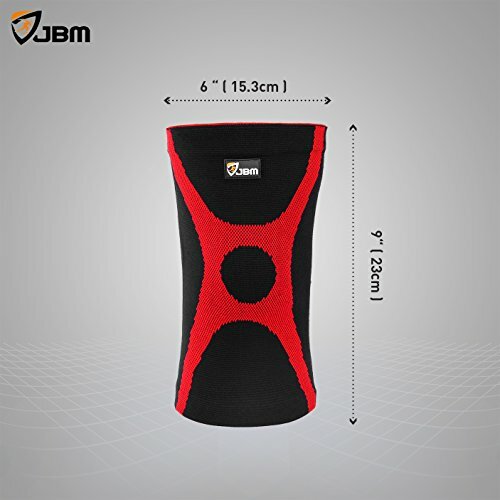 For those who are suffering knee pains, this gym knee compression sleeve is a great knee stabilizer to help fix sportsman?¡¥s knee patella joint, promote knee healing and relieve knee pains. The gym knee pad also provide certain cushion against external pressure from hard objects. Sportsman wear this knee protective gear during sports activities feel much safer. JBMalways value the customer user experience. Please kindly leave FEEDBACK and RATING below. SPEEDY RECOVERY This gym knee brace is great knee protector for men and women who like outdoor sports activities, reducing the injury of knee ligaments caused by external pressure. This gym knee patella support is also suitable for those who are suffering knee pains for twisted knee, arthritic knee and knee injuries, as a knee stabilizer to strengthen the knee joint and promote knee healing. 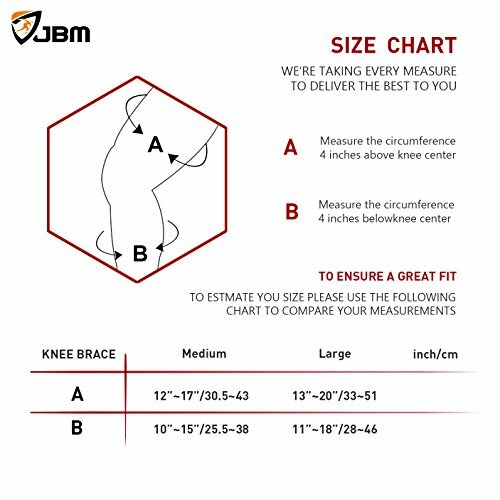 WEARS COMFORTABLE AND DURABLE This gym knee brace is breathable which can absorb most of the sweat to keep dry and clean. With the designing of sleeve style, this knee support is convenient for users to put on or take off. Users could adjust the size flexibly for the high elasticity. The soft and lightweight material allow users to wear the gym knee brace comfortable. The adoption of high quality materials makes this patella equipment hard to be broken, giving users a durable usage. 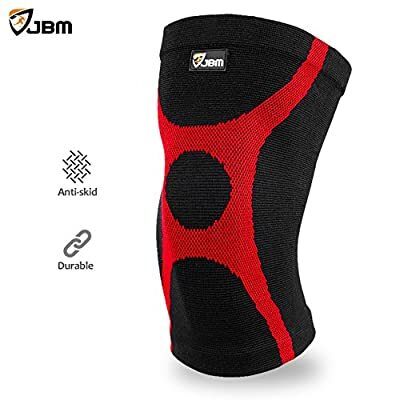 KNEE STABILIZER PAIN RELIEF For those who are suffering knee pains, this gym knee compression sleeve is a great knee stabilizer to help fix sportsman's knee patella joint, promote knee healing and relieve knee pains. The gym knee pad also provide certain cushion against external pressure from hard objects. Sportsman wear this knee protective gear during sports activities feel much safer. 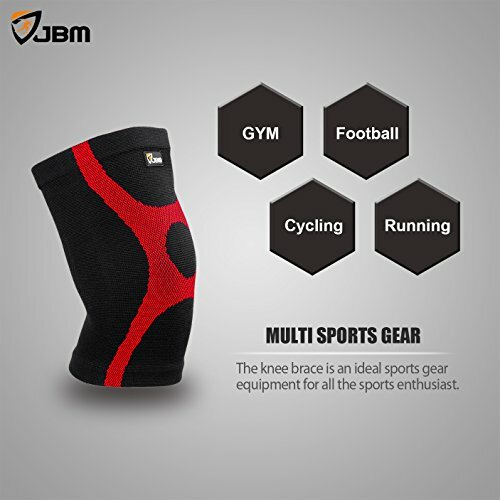 MULTI SPORTS GEAR As a great knee brace support equipment, this gym knee brace is widely used during all kinds of outdoor activities such as weightlifting, power lifting, fitness, exercise, football, soccer, basketball, baseball, volleyball, tennis, badminton, running, climbing, cycling, biking, hiking. PACKAGE GYM Knee Brace X 1. 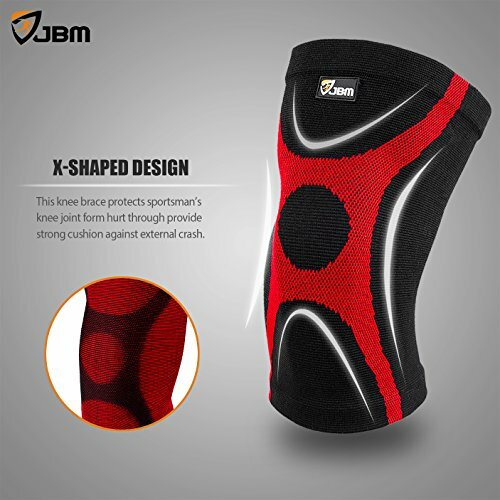 This gym knee brace protects sportsman's knee joint form hurt through provide strong cushion against external crash. the knee brace is an ideal sports gear equipment for all the sports enthusiast.